Each day slips past more quickly than the one before. 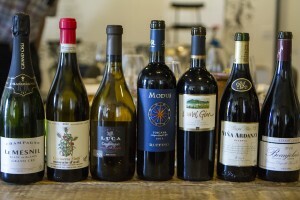 That being said, you still have time to shop for holiday wines and perhaps indulge your tastebuds while you’re at it. 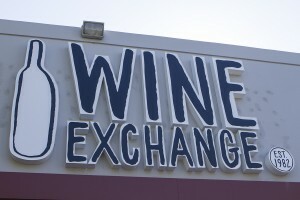 Wine Exchange in Santa Ana has been around since 1982 and how it slipped under my radar is beyond me. 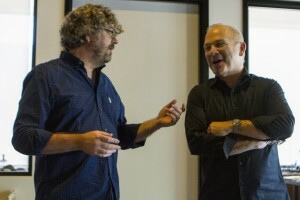 Widely considered Orange County’s wine merchant, it was founded as Liquor Exchange by owners Steve and Craig Zanotti who rapidly gained a strong following. 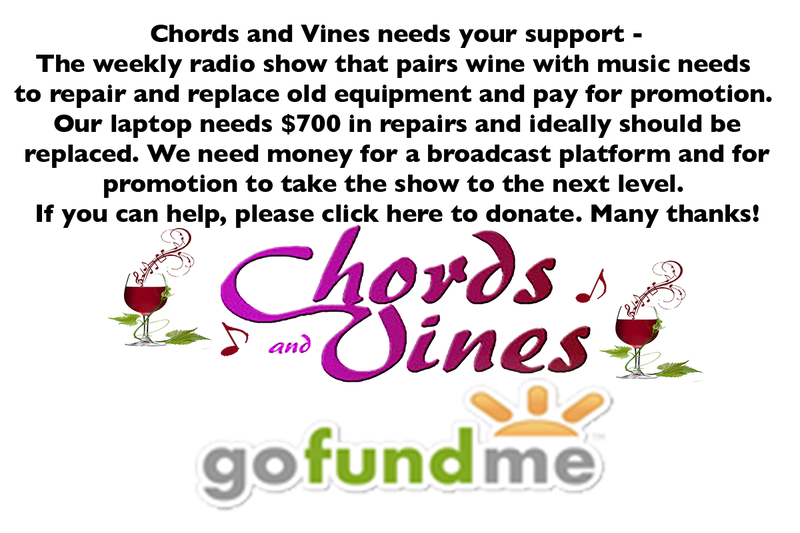 Long story short, today Wine Exchange is operated by Kyle Meyer and Tristen Beamon and I had the chance to visit with them and taste several wines they believe are ideal either for your holiday table or as gifts. In the hour and a half or so we spent together they took us to France, Argentina, Italy, Spain and California. The passion both men possess is evident the moment you hear them speak. Their lives revolve around wine and they try to buy and sell wine “as much as humanly possible.” They believe Champagne is “ubiquitous” during the holidays and always have a bottle on their dinner table from Thanksgiving to Christmas. They served us non-vintage Brut Grand Cru Le Mesnil Blanc de Blancs. This 100% Grand Cru is made from 100% Chardonnay grapes and is elegant and delicious. At $40 it’s priced well below what you’d expect to pay for a Champagne of this pedigree. Oddly enough with dozens of trips to France between them, neither has visited the Champagne region. Tristen assured us he plans to make that happen in the coming year. 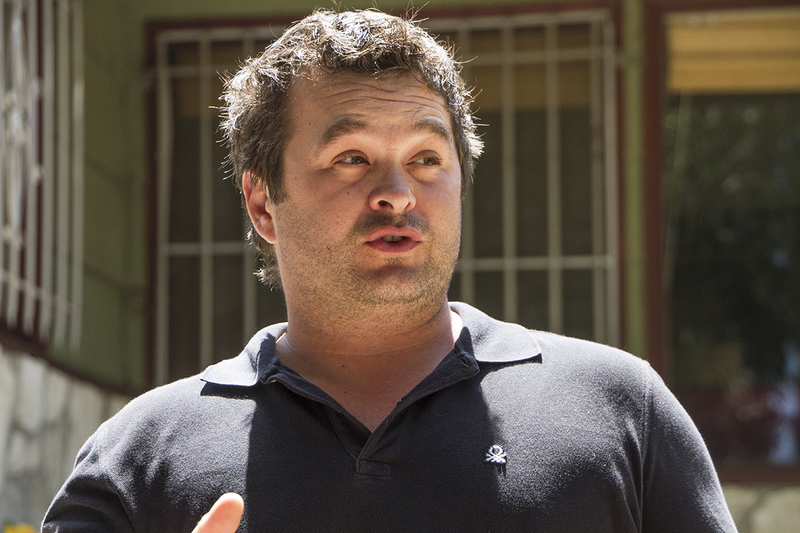 From Mendoza, Argentina we tasted the 2012 Luca Chardonnay G Lot. 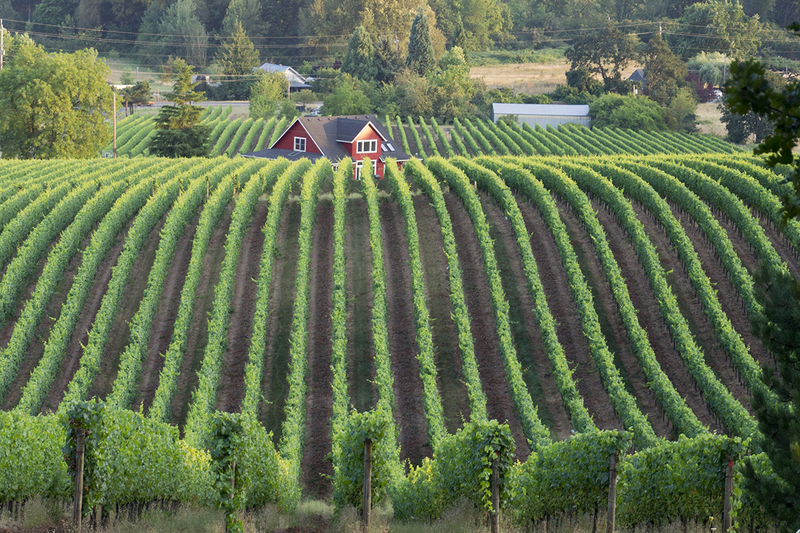 This wine comes from a vineyard that sits at 4790 feet and gets plenty of sunshine. As a result the fruit isn’t overly ripe. It’s only partially barrel-aged and is “serious as a heart attack. Everyone wants to do Chardonnay at the holidays even though it’s “not the right wine.” They both believe this wine is an exception to the rule and at under $30 the price is right. Beaujolais is almost a given at the holidays and Kyle and Tristen offered us a classic. The 2014 Domaine Dupeuble Beaujolais is unmistakable on the nose, a classic Beaujolais. It comes from 90 – 100-year-old vines from a very small estate. Produced using carbonic maceration and a native yeast fermentation. I can’t think of many things this wine wouldn’t pair with. $12.98. They recommend pouring a couple of bottles into a pitcher. 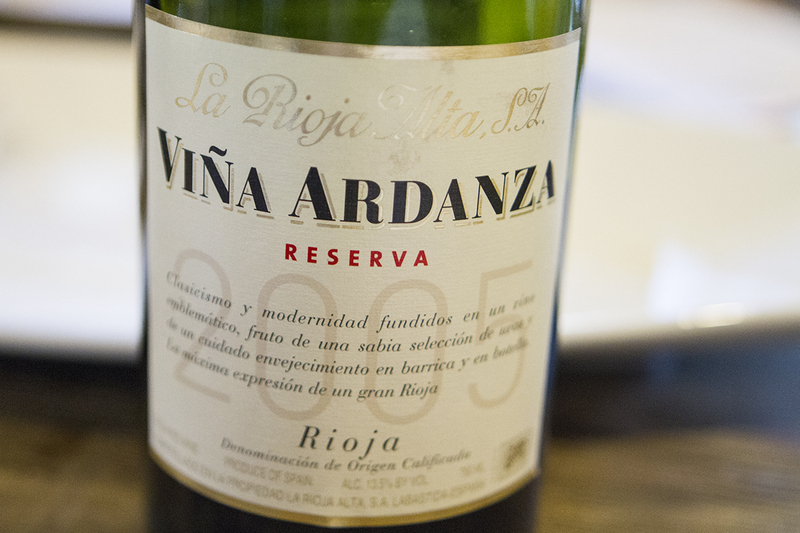 We crossed the Atlantic and landed in Rioja, Spain to taste the 2005 La Rioja Alta Rioja Reserva Vi?a Ardanza. Kyle and Tristen both love the versatility of Rioja wines and it’s as heavy as they would suggest for a holiday meal. Roughly 90% Tempranillo, 2005 was a fantastic vintage that will easily cellar for another 10 years. Vanilla, cinnamon stick, baking spices and cherry with a beautiful, vibrant red color. 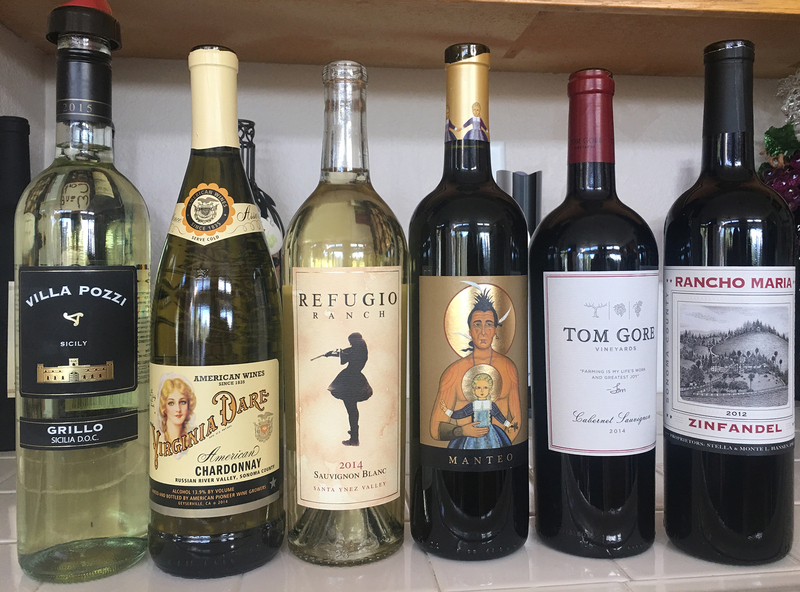 If you’re looking for Rioja, Wine Exchange boasts they have the biggest selection in all of Southern California. From Tuscany they presented the 2012 Ruffino Modus Toscana, a Sangiovese, Cabernet and Merlot blend. A classic “Super Tuscan”, This is a wine they’ll readily recommend to those who will inevitably come in looking for a gift for a friend who loves Italian wine. 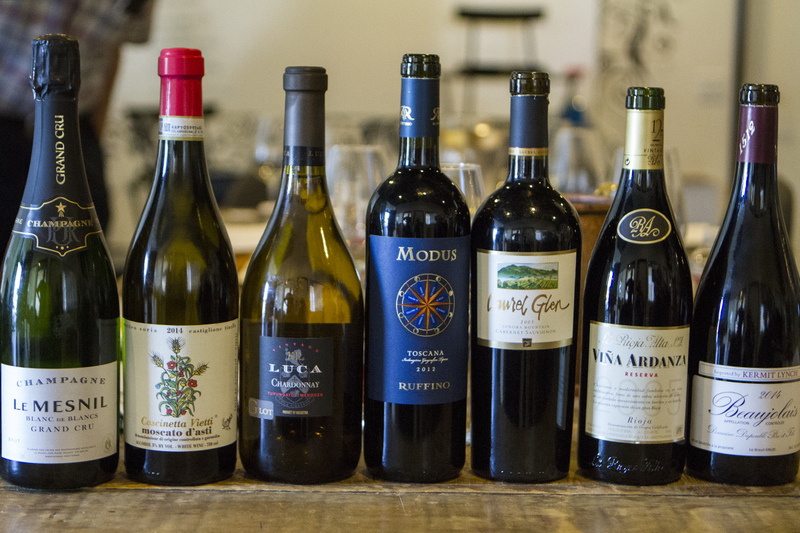 At less than $25, they call it the perfect holiday gift wine. It’s great with a grilled steak. Open it and let it breathe for an hour or so or decant it. They opened a real treasure, a 2005 Laurel Glen Sonoma County Cabernet Sauvignon. 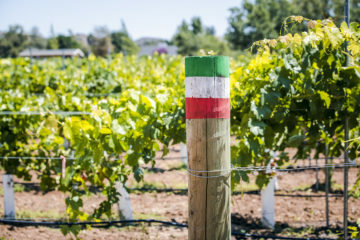 Considered one of the premiere Cabernet producers in Sonoma, the winery was recently purchased and the new owners discovered a cache of vintage wines. Perfectly stored and straight from the winery, it rivals many Napa Cabs at a price that’s right in line with current vintages. 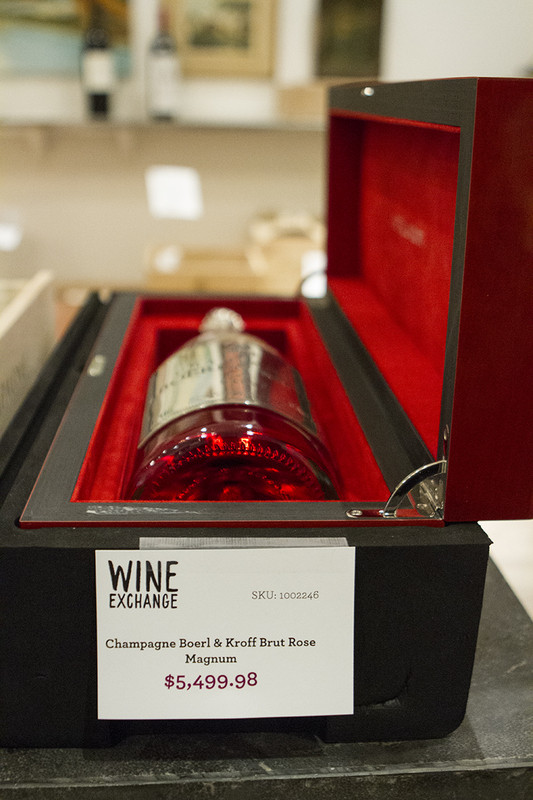 At $74.98, grab a bottle before they vanish. We ended with the 2014 Vietti Moscato d’Asti Cascinetta. The nose is intoxicating and the wine dances on the palate with flavors of honey and citrus flowers. It’s a lovely dessert wine for $12.98. Give yourself some time to explore this incredible store. Make sure you ask to see the ‘bling room’ with wines bearing hefty price tags. They also have an excellent selection of wine-related gifts that won’t break your budget. 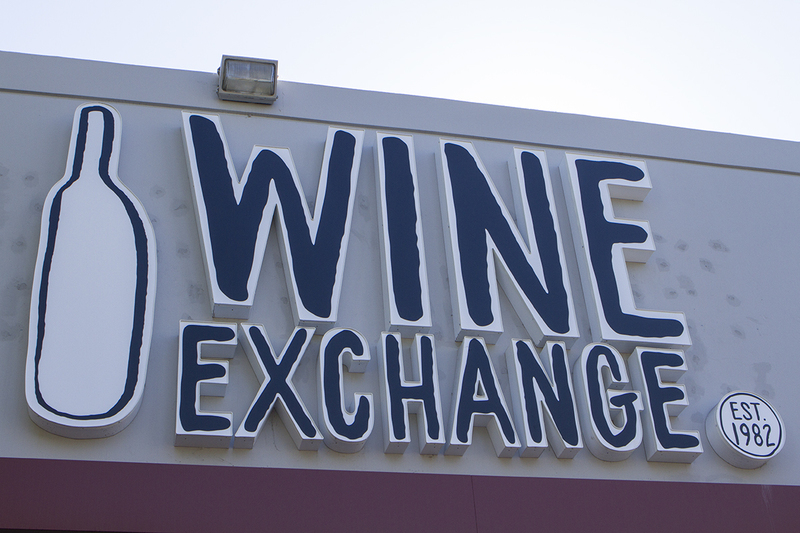 Wine Exchange is located at 1544 East Warner Avenue in Santa Ana. Just minutes away in Tustin is Union Market. I’m a huge advocate for locally owned businesses and Union Market is the textbook definition. 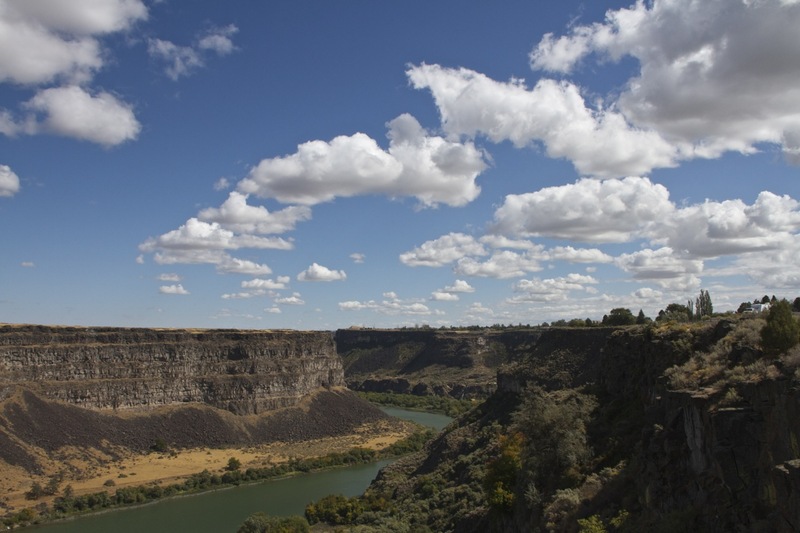 I’ll tell you all about my unforgettable visit there in the very near future.